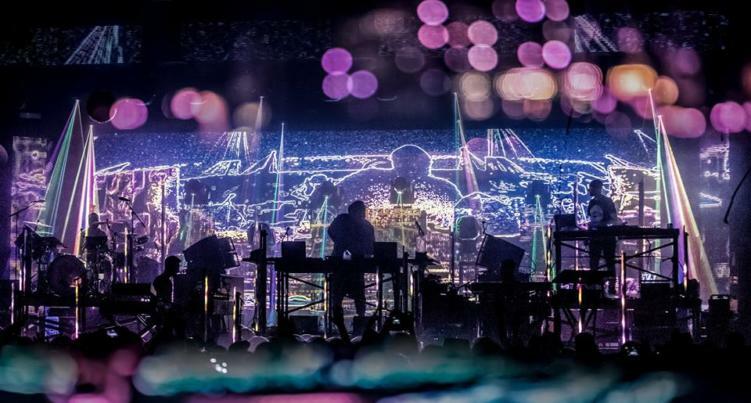 Pretty Lights celebrated ten years of headlining Red Rocks this past weekend. With him, he brought his live band to ring in the fun. Free webcasts of this weekend’s Pretty Lights concerts were available via both Facebook and YouTube. Derek Vincent Smith, a.k.a. Pretty Lights, first played the iconic venue 10 years ago. For the fans who were not in attendance, you can watch both nights from the comfort of your couch. The streams are still available on Youtube. So join Pretty Lights, Borahm Lee, Alvin Ford Jr., Chris Karns, Brandon Butler and production master Lazer Shark for an epic two days at Red Rocks. Featured image via B.a.D. Photography.